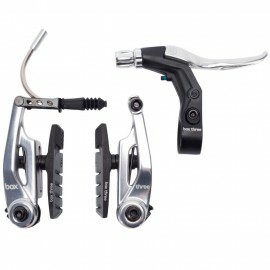 Legendary old-school BMX'er Toby Henderson has designed these brakes and levers to work on front or rear brake!! The lever is designed for use on either left of right side! 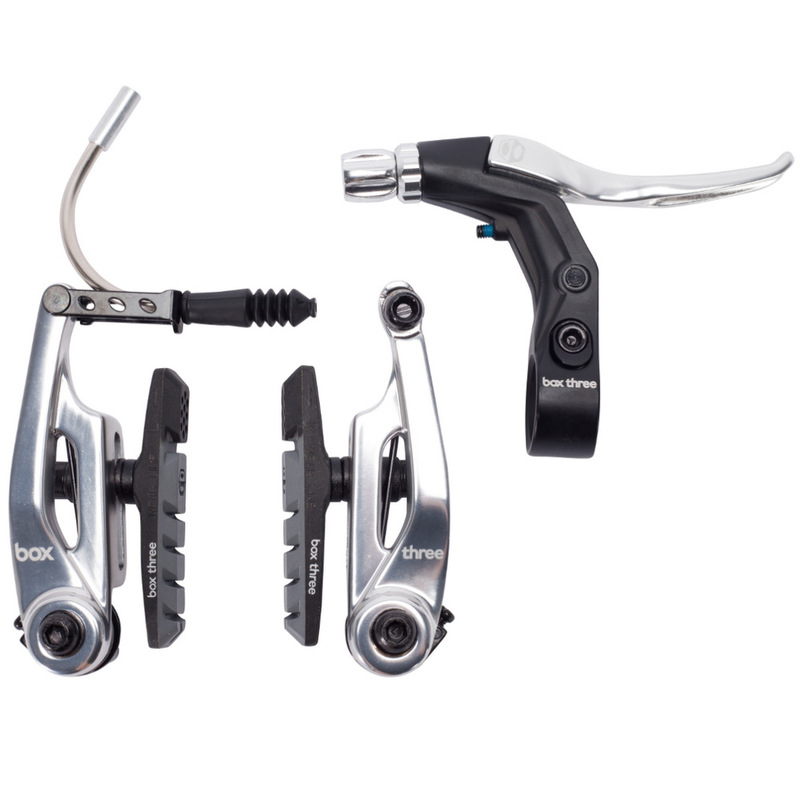 The Box Three brake kit includes one set of color-matched Box brake arms and Box lever, plus a standard stainless steel Box brake cable and brake shoes. All necessary mounting hardware also is included. Meets or exceeds ENM standards. Beautifully anodized in black, blue, silver, and red! In MINI size. 85mm brake arms.